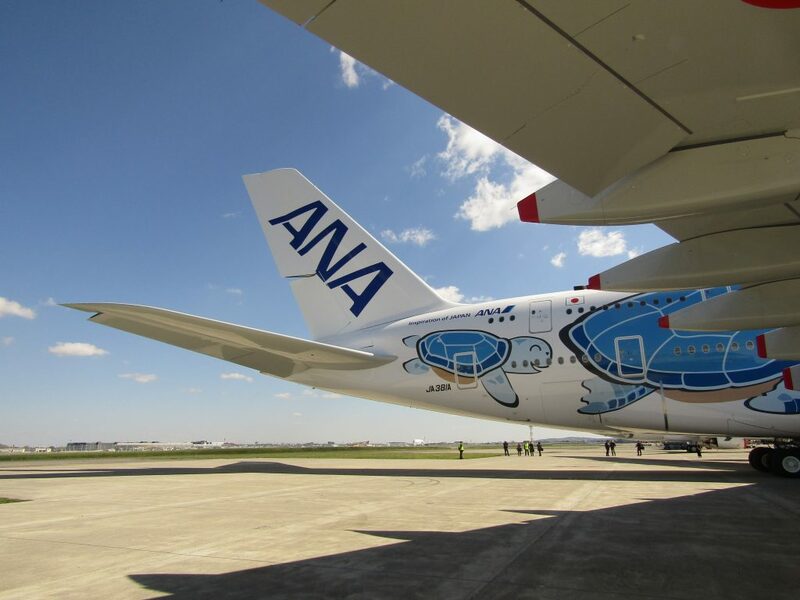 All Nippon Airways, commonly known as ANA, took delivery of its first Airbus A380 on Wednesday at the Airbus Delivery Center in Toulouse, France, becoming the first Japanese operator of the double-decker aircraft. 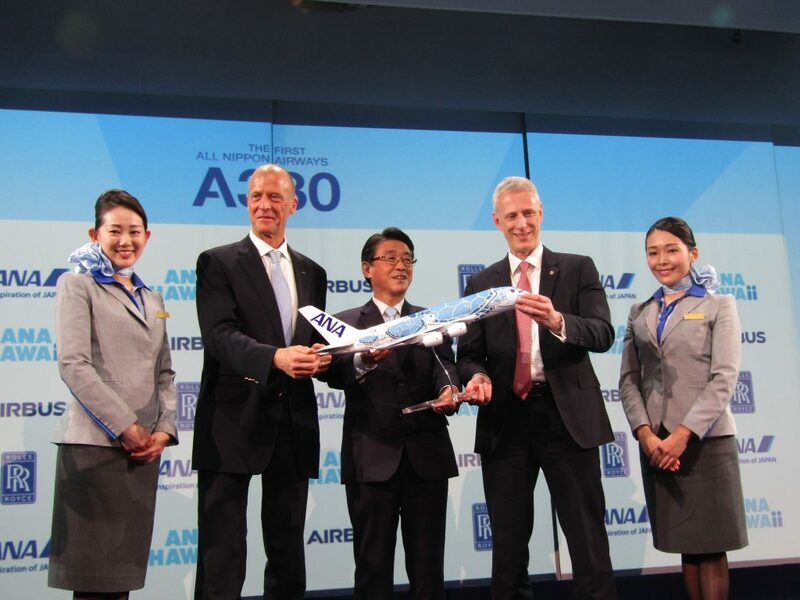 The aircraft delivered was the first of three ANA orders for the A380, inherited by the airline in its acquisition of low-cost Skymark Airlines, and with the cessation of the A380 program, ANA will be the last new customer to take delivery of the aircraft. 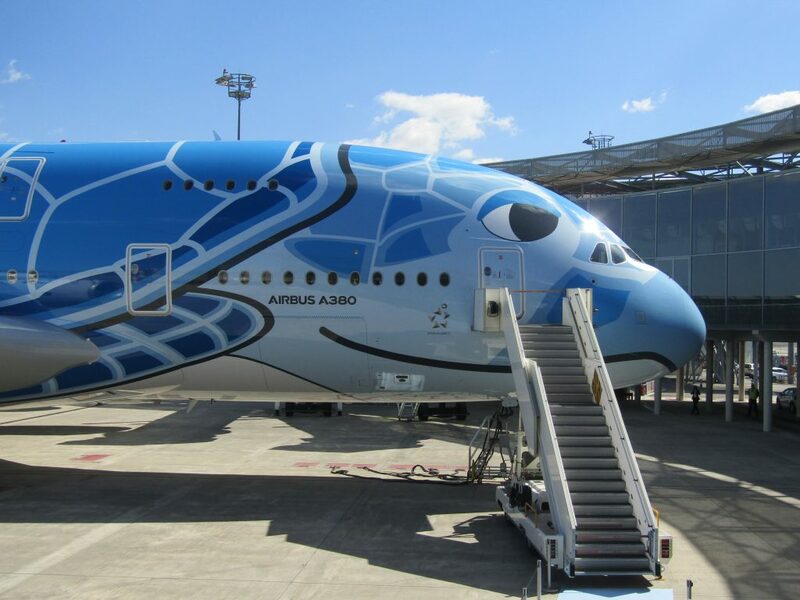 Flying back to Tokyo immediately following the delivery ceremony, the Flying Honu plans to enter service with Japan’s second largest carrier in late May exclusively on the Tokyo-Honolulu route. 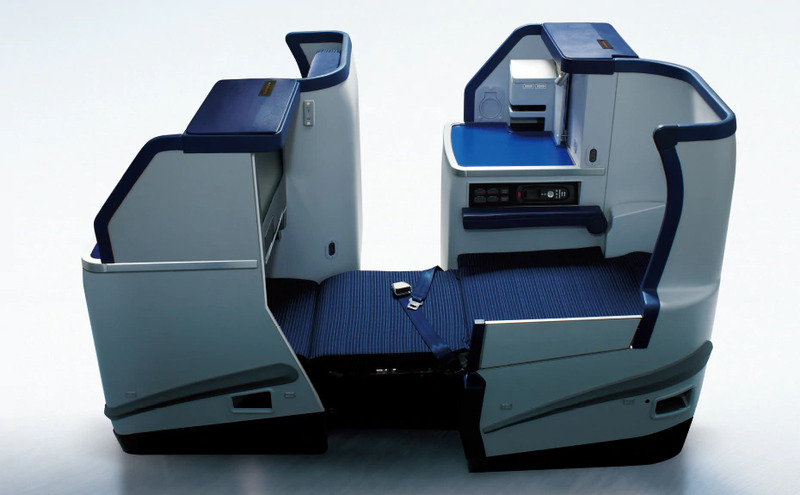 A popular leisure destination with a large number of Japanese expatriates, Hawaii was the ideal choice for A380 service due to its large capacity, 520-seats across four cabins in ANA’s unique configuration, on what is an immensely popular leisure route. All three A380s will exclusively serve the Tokyo to Honolulu route, complementing existing Boeing 787 Dreamliner service. The service will be the first A380 service to Honolulu and will drastically increase capacity on the busy route. 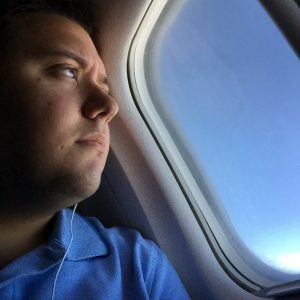 ANA’s use of the A380 is unique as few airlines dedicate a single aircraft type to a single route. While the use of the aircraft is unique, its liveries are even more unique. 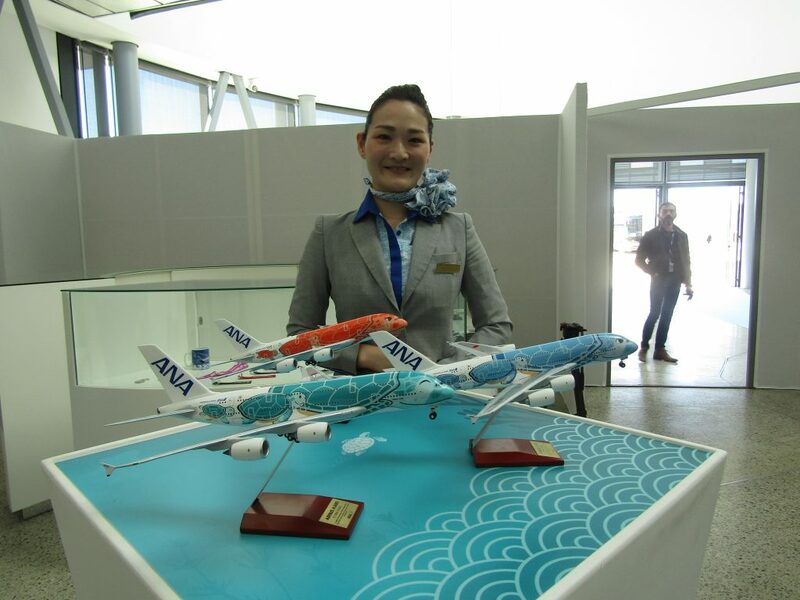 Each of the three aircraft will feature its own special livery, none of them the standard blue and white ANA livery. 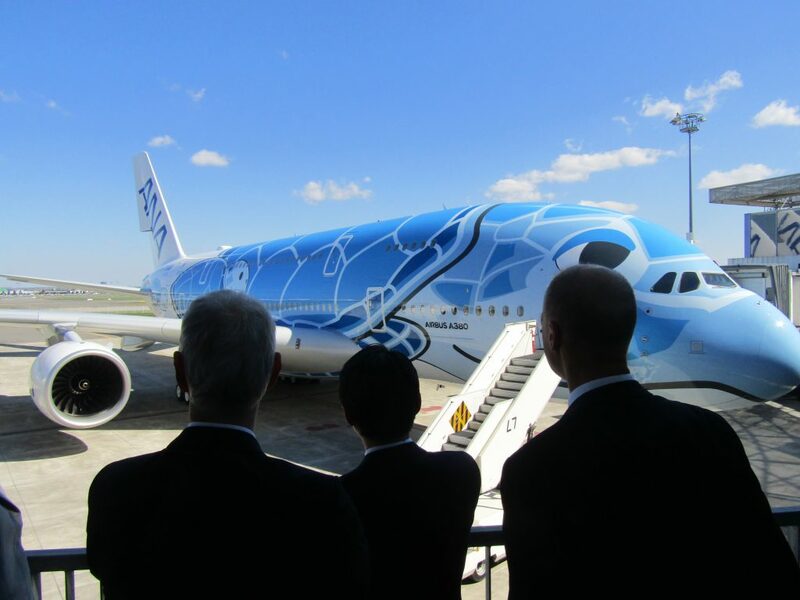 The aircraft delivered today, called “Lani” with registration JA381A, features a turtle on the fuselage in a color called ANA Blue to resemble the Hawaiian sky. 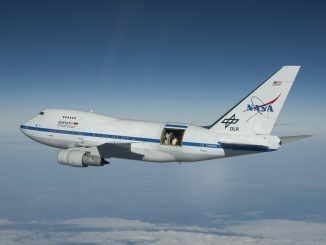 The following two aircraft will also feature turtles, but with other colors such as Emerald Green to resemble a Hawaiian ocean scene and Sunset Orange to resemble a Hawaiian sunset. 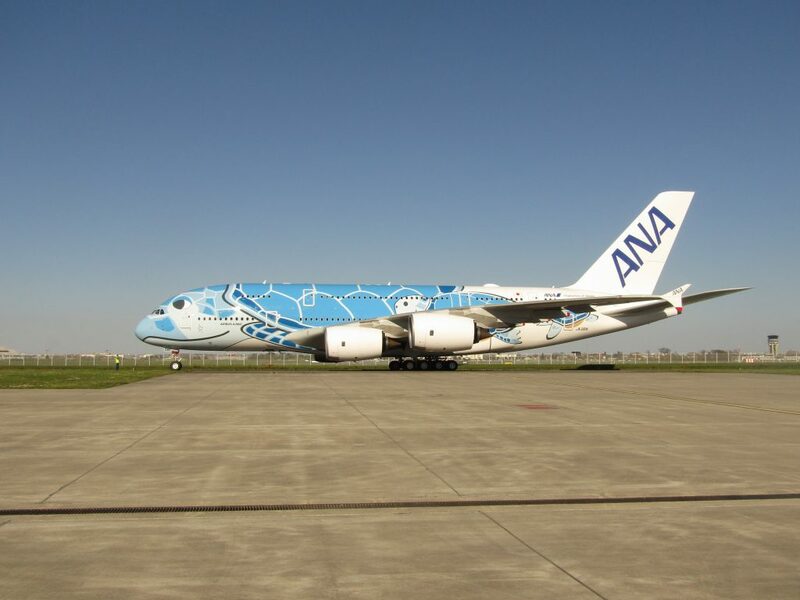 Until the Emerald Green aircraft enters service in July, ANA’s A380s will be restricted to three times weekly service between Tokyo and Honolulu on Tuesdays, Fridays and Sundays, transitioning to daily service on July 1 with twice daily A380 service on Tuesdays, Fridays and Sundays. ANA and Airbus began their relationship in 1986 with ANA ordering the Airbus A320 for its short-haul fleet. 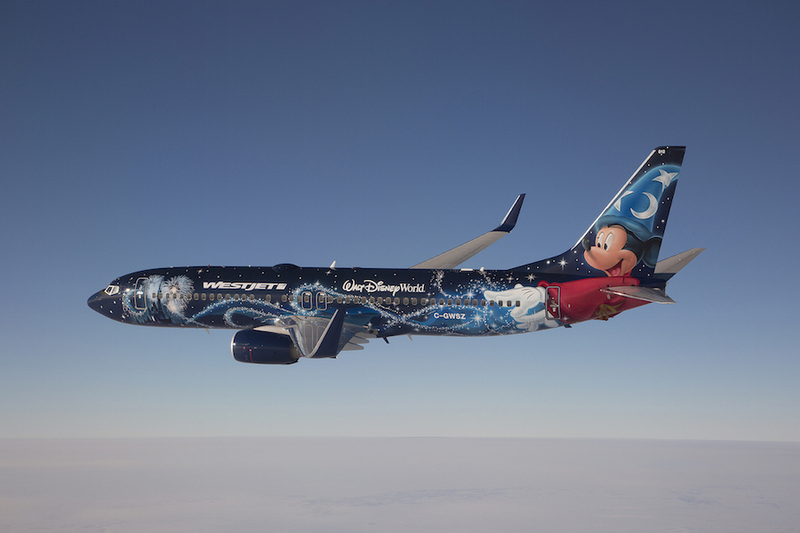 The relationship continued and although ANA opted to go with Boeing for its long-haul fleet and the remainder of its short-haul fleet, Airbus was the manufacturer of choice for its subsidiary airlines Peach Aviation and Vanilla Air. Neither ANA or Japan Airlines, however, ever operated an Airbus widebody aircraft, until now. Though all reports indicate that the long-haul relationship between Airbus and its longest standing customer in Japan will not go beyond the A380, Airbus can finally say that it has one of its most iconic long-haul aircraft flying in the Land of the Rising Sun. 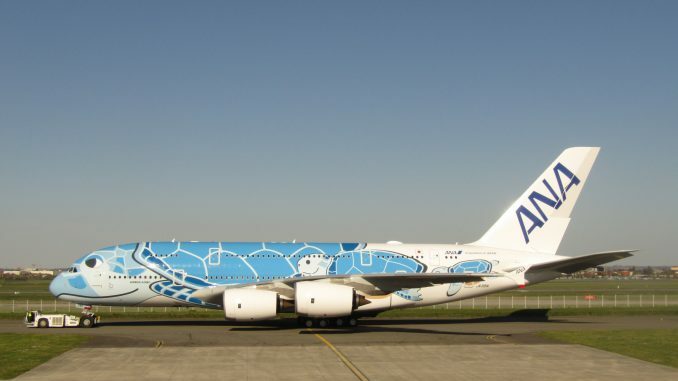 Once it begins revenue service, the A380 will be only the second aircraft type in ANA’s fleet to feature a first class. The move is not atypical with airlines such as Qatar Airways and Air France putting first class cabins on its A380s and not many others in their fleets thanks to the aircraft’s capacity allowance. The first class onboard the A380 will consist solely of 8 seats, common for a first class cabin, in a 1-2-1 configuration and will differ from the first class onboard its Boeing 777-300ER aircraft. Following the new premium cabin trend, ANA’s first class seats will be enclosed suites with a sliding door for maximum privacy. 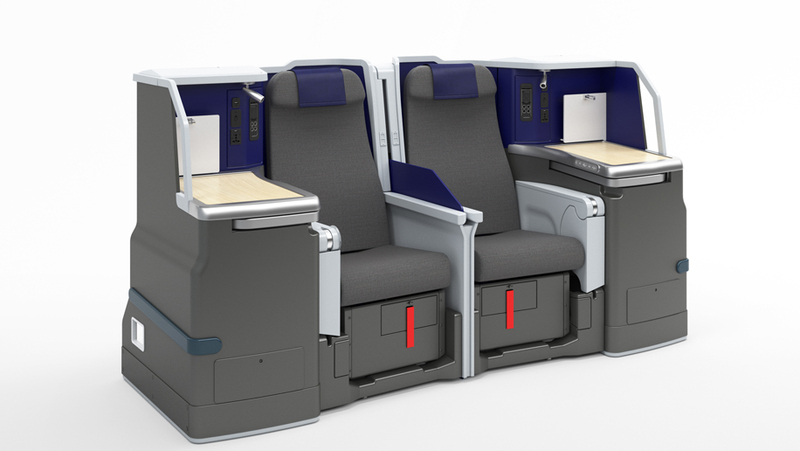 The 56-seat business class cabin, located directly behind the first class cabin on the upper deck, will feature Zodiac Aerospace seats similar to the ones featured in fellow Star Alliance member United’s Boeing 787-10 Dreamliner Polaris class. The staggered seats offer two different seat types depending on location. Center aisle seats can either be paired honeymoon seats in that they are directly next to each other with a divider or they can be aisle seats with seats separated from each other and facing outwards towards the aisle. Along the cabin walls, there are two options again, aisle and window seat. 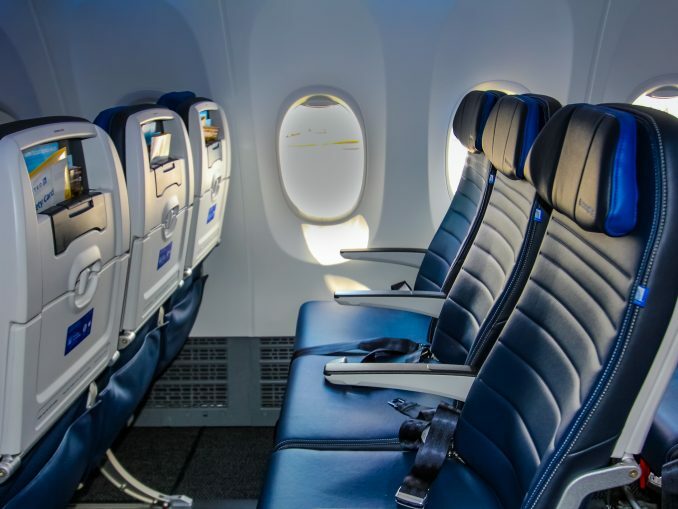 Though both have direct aisle access and unobstructed window views, the aisle seat is located closer to the aisle and the window closer to the window. The window seat often provides more privacy since it’s located away from the aisle, though still with direct aisle access. 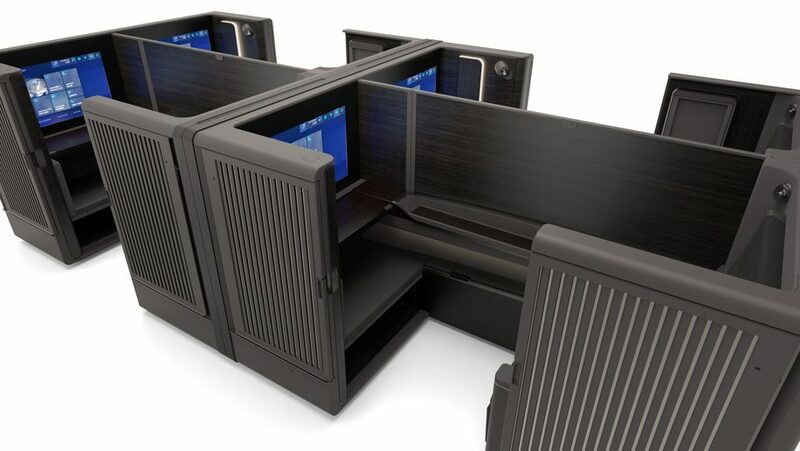 Like its predecessors, the premium economy cabin is located on the upper deck, directly behind business class. 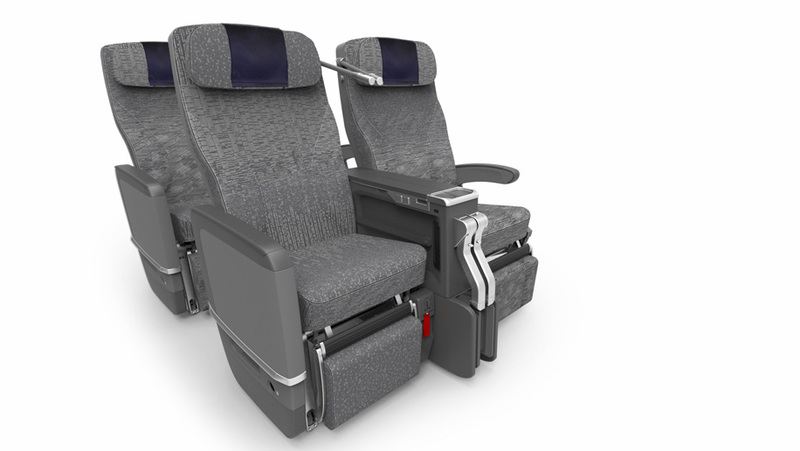 The 73-premium economy seats will be arranged in the standard widebody 2-3-2 configuration and will feature 38-inches of pitch. 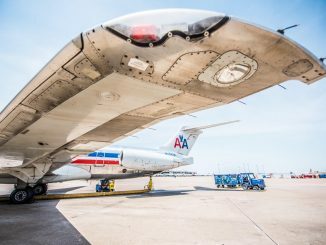 While the top level of the aircraft is focused entirely on premium products, the lower level will be focused solely on economy. At 34-inches of pitch per economy seat, ANA’s A380s will offer one of the most spacious economy products currently flying. 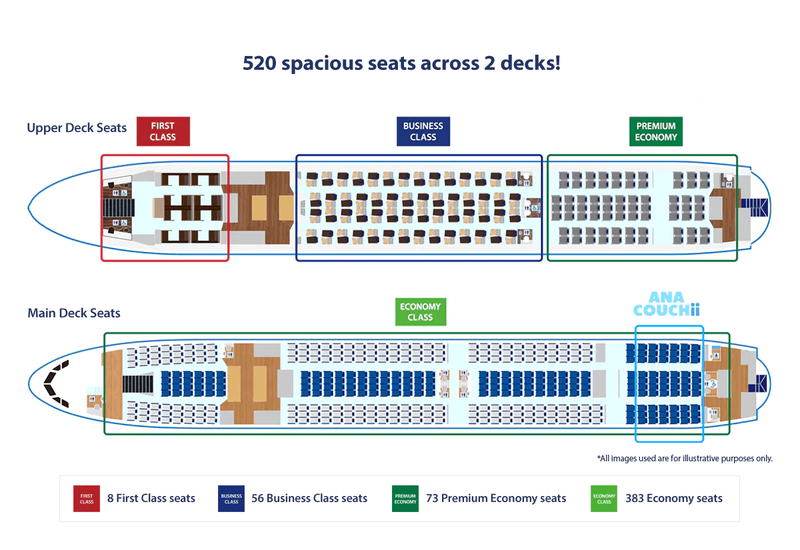 The 383-seat cabin will be arranged in a 3-4-3 configuration and occupies the entire lower level. 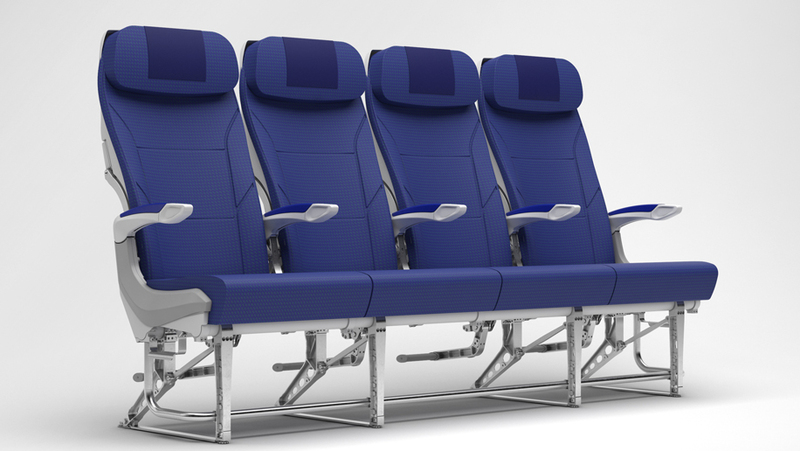 The rear section of the economy class cabin will offer a new product to ANA, the ANA COUCHii. 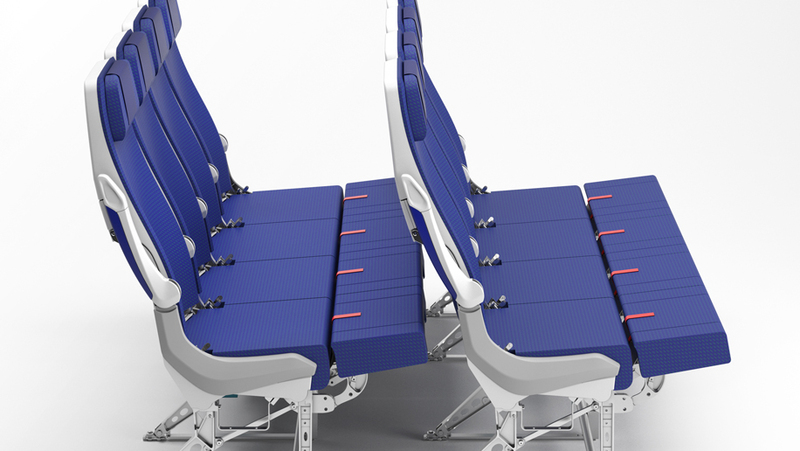 The last seven rows of the economy cabin will feature leg rests that can be raised at a 90-degree angle to create a couch. Aimed at families and couples, the couch is ideal for little children that can easily lay down on the couch. Solo passengers can also utilize the couch but must pay a premium for it. ANA, however, isn’t just giving the aircraft an upgrade, it’s giving the destination an upgrade as well. When booking a flight to Hawaii on the A380, ANA travelers will now be able to get additional perks including enhanced award redemptions, assistance with on-the-ground experiences such as tours, transfers and restaurant reservation. Additionally, A380 passengers will have access to A new ANA lounge in Hawaii dedicated solely to the carrier’s customers. The lounge will feature A380-specific amenities such as a private jet bridge that feeds directly from the lounge to the upper deck of the aircraft, a perk only seen at two other airports in the U.S. and a first for Hawaiian airports. 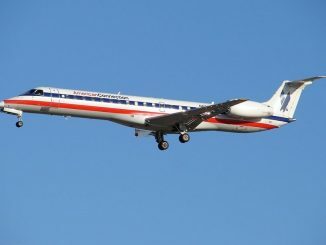 The investment in Hawaii is justified by the fact that it’s the most popular tourist attraction from Japan and sees an average load factor of over 90 percent, despite the competition from numerous airlines including United, Delta, Japan Air Lines and Hawaiian Airlines on widebody aircraft. With mounting competition, ANA’s A380 will be a large disruptor and, along with the increased services and amenities, will help draw travelers away from the competition. The first Airbus A380 was delivered to Singapore Airlines in 2007 and subsequent aircraft have been delivered to 14 other airlines since. 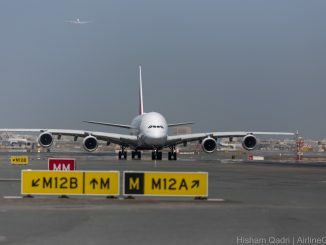 With Emirates canceling orders for 39 A380s in favor of Airbus’ other next-generation offerings, the program will come to an end in 2021. Unless the program is saved by an aircraft in need of the double-decker, ANA will be the last new airline to take delivery of an A380 from Airbus in just 12 years from its first delivery to Singapore Airlines. 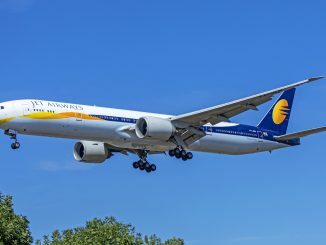 The aircraft will continue to be delivered per existing orders, but it will be to airlines currently operating the aircraft such as Emirates. The first sign of trouble for the A380 came when Singapore Airlines decided not to renew its lease for one of its A380s. The carrier operates the A380 from Singapore to cities such as New York and Frankfurt. Following its tenure with Singapore, the A380 found a second life with an unlikely partner, wet-lease specialist Hi Fly. 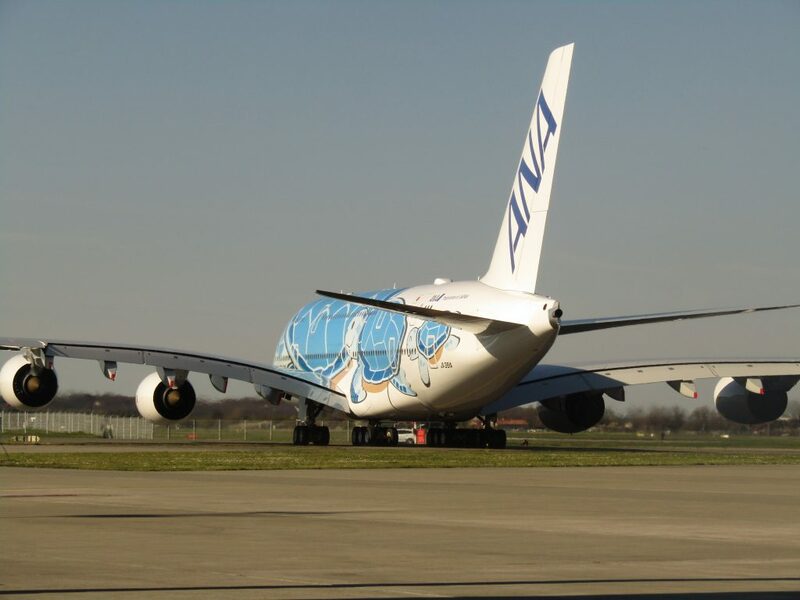 Investing in the superjumbo jet, Hi Fly Malta became the first secondhand operator of an A380. The aircraft became immediately useful, rescuing Thomas Cook Airlines when it had no aircraft available to fly between Copenhagen and Larnaca, and then for Norwegian on the New York to London route as the airline was cycling through temporary replacement aircraft for its Dreamliners. More trouble came as Air France announced it would no longer be continuing with the aircraft and Lufthansa’s recent widebody order from Airbus included the return of six A380s, further solidifying the demise of the aircraft. Despite retirement from the majors, Hi Fly continues to express interest in acquiring more secondhand birds, potentially giving the aircraft a new lease on life. Ultimately, the A380 failed in its goal to revolutionize the hub-and-spoke system. Although the concept was simple, reduce the number of flights by increasing capacity, the A380 never truly caught on and never surpassed more than 350 orders, a number of which were canceled. 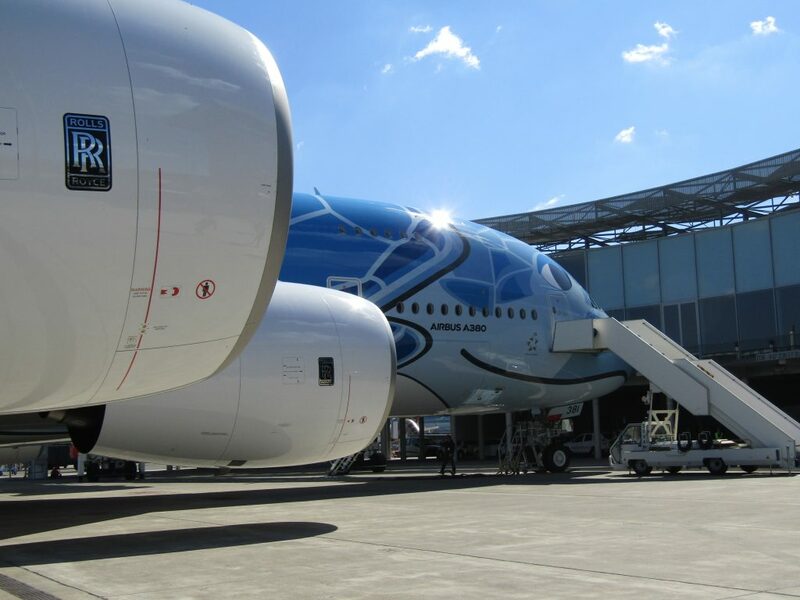 ANA, however, appears to be making the best out of its order, with countless upgrades and amenities unique to the A380 as opposed to other aircraft in its fleet. 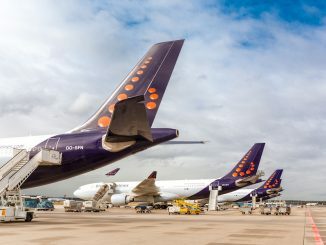 Despite the impending end of new production for the aircraft, Airbus has vowed to maintain the same amount of support and commitment to current A380 operators. Additionally, despite stopping production, the manufacturer is confident that the A380 will be flying for decades. “[A380] offers a unique passenger experience and will continue to do so for decades to come,” said Sunny Guglani, Head of Marketing A380. According to Airbus, an A380 either takes off or lands every two minutes at more than 65 destinations around the world carrying over 140,000 daily passengers, based on 2018 data. 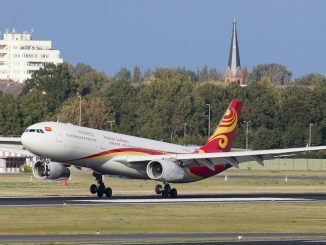 The delivery ceremony took place in the Airbus Delivery Center on the grounds of Toulouse Blagnac Airport. Executives from the three main players involved in the delivery — Airbus, ANA and Rolls Royce — were in attendance and spoke about the aircraft and its significance to their respective companies. 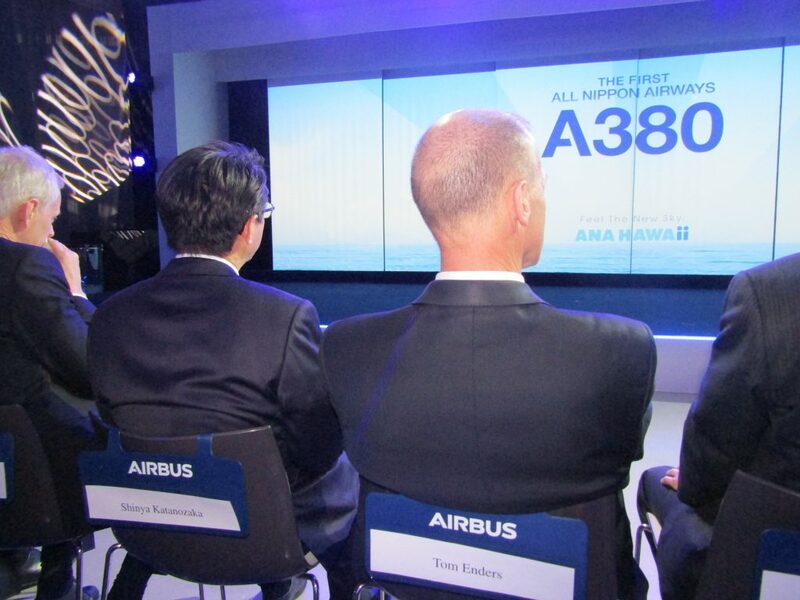 Airbus CEO Tom Enders spoke first at the ceremony, discussing the manufacturer’s relationship with ANA and the possibilities of the A380 with the airline. 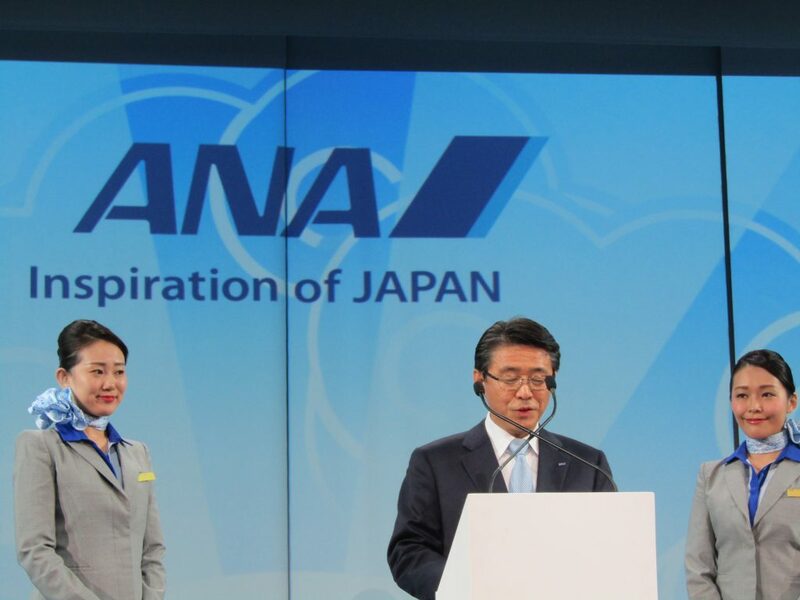 Enders reassured Katanozaka both on stage and in a private conversation that Airbus will continue to support the A380 for as long as ANA is flying, despite the discontinuation of the product line, as is the manufacturer’s commitment to all of its A380 operators. 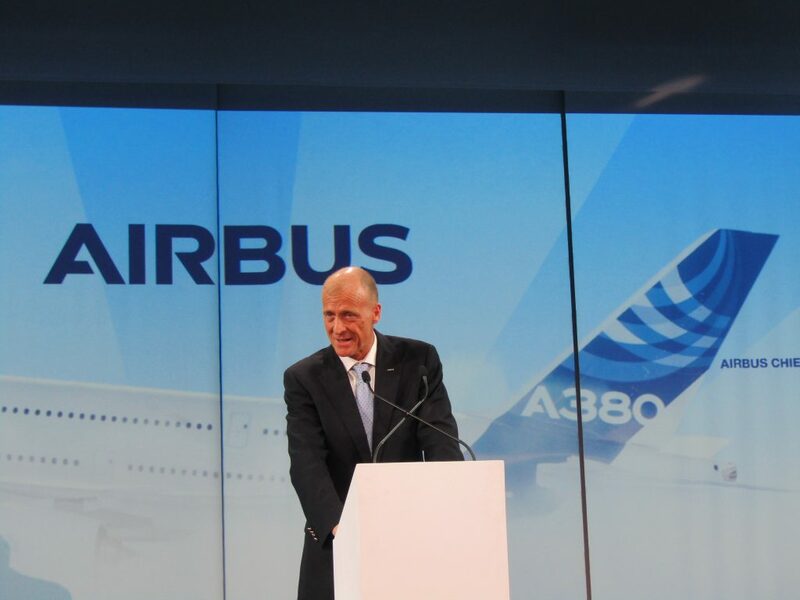 This would be the last time that Enders, who joined Airbus as chief executive in 2007, would hand the keys to one of his A380 aircraft over to a new customer. Enders had been at both ends of the A380s life from its first delivery to Singapore Airlines in 2007 to now its final delivery to a new customer in 2019. 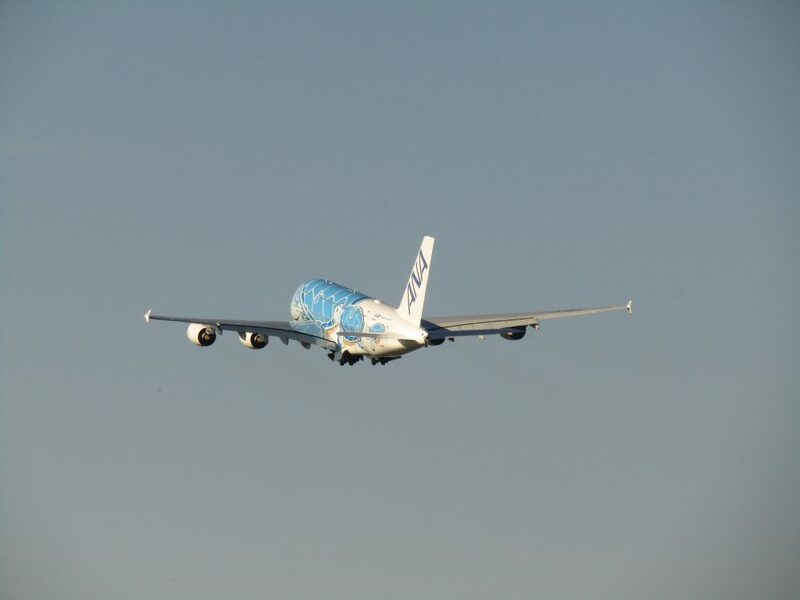 “On behalf of everyone at Airbus….please let me wish ANA the greatest success with its new A380,” said Enders. ANA CEO Shinya Katanozaka also took the stage, discussing his company’s relationship with Airbus and remarking on the importance of the delivery to his company and the Japanese people. 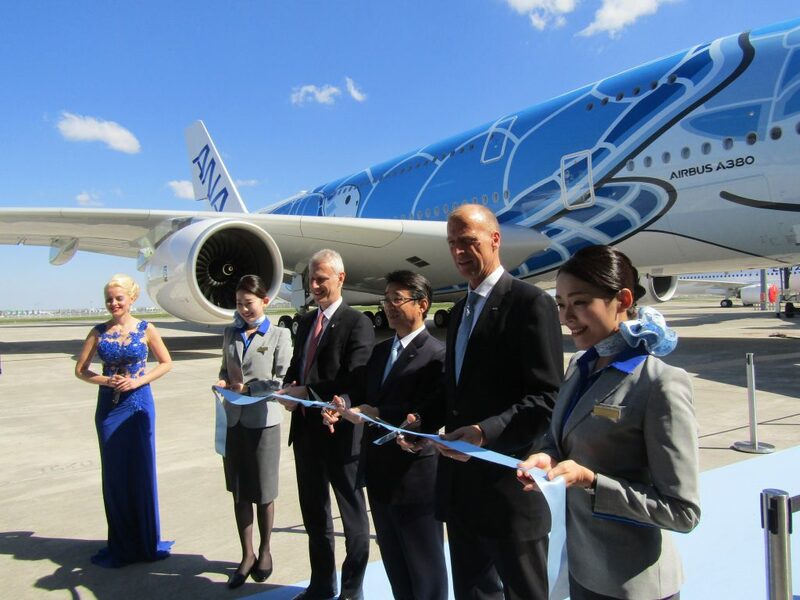 The aircraft will undoubtedly be a game-changer for ANA, as no other airline flying the Tokyo to Honolulu route can offer the aircraft itself, which is a major selling point since Airbus data shows 60 percent of customers care about the aircraft they fly on and are more inclined to pick the A380 due to a variety of factors including spaciousness, comfort and the cabin atmosphere. Katanozaka first flew on the super aircraft on a test flight approximately five years ago and joked that he flew in its cockpit before ANA’s own pilots. Following Katanozaka, it was time for the unveiling of the aircraft. 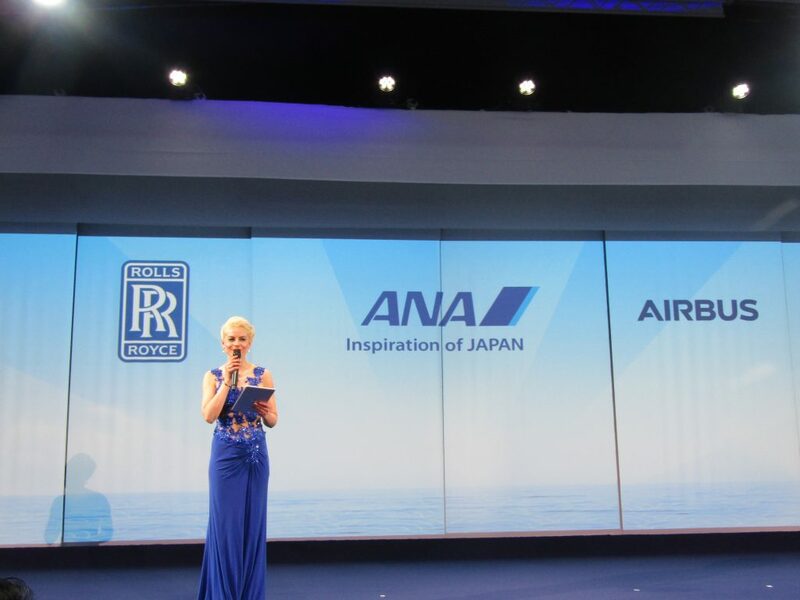 After a dramatic video with imagery incorporating Japanese and Hawaiian cultures, the curtain was dropped as laid-back Hawaiian music played, formally introducing the world to ANA’s A380. As a congratulatory gift, Enders presented Katanozaka with a model of the aircraft, which all three executives signed. 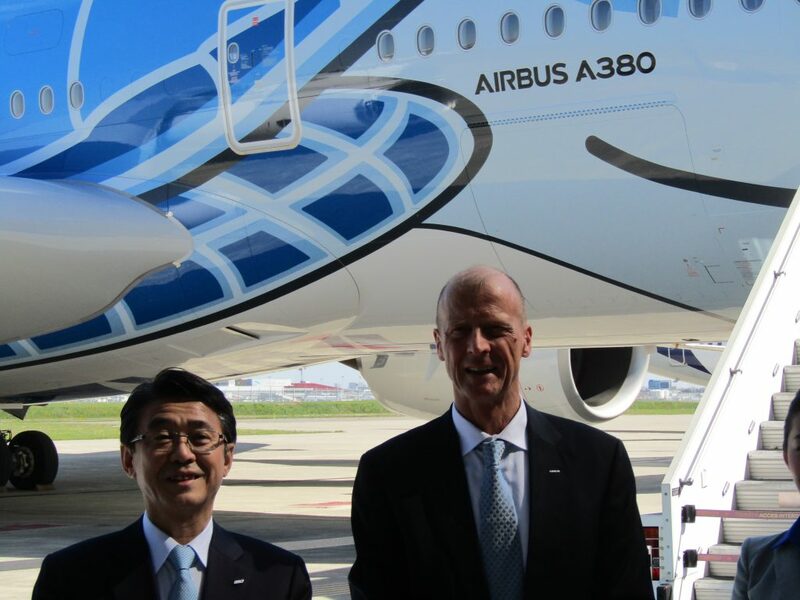 Enders, Katanozaka and Chris Cholerton – Rolls Royce’s President of Civil Aerospace – then headed down to the aircraft for the ribbon cutting and photos with ANA staff that had traveled to Toulouse to witness the event. At the end of the day, it was time for the A380 to head to its new home. With Katanozaka and a small contingent of ANA personnel onboard, the aircraft pushed back from the Airbus facility at 4:30 p.m. and departed from Toulouse’s Runway 14L at around 4:45 p.m. for Tokyo. Departing for the first time with ANA crew at the controls and an ANA flight number, the aircraft rocked its wings on departure, as is customary for deliveries, and climbed into the clear blue sky en route to its new home. The next two months will see the aircraft undergo certification checks by ANA maintenance staff, as well as crew training for the pilots and flight attendants that will staff the aircraft. The flight revenue flight for the A380 from Tokyo to Honolulu is scheduled for May 24.